For those of you who missed the market, I will be listing the newest designs in the shop later this week. 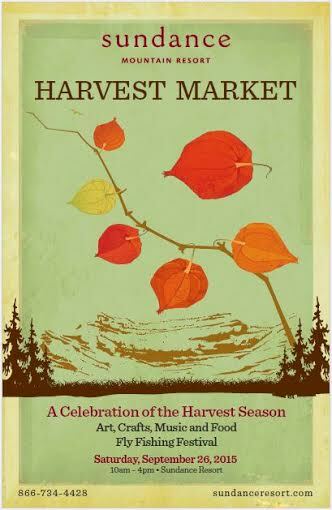 This is one event you have to put on your calendar for next year....and yes, we will be there with even more bigger and better barn quilts! Last fall my husband and I went to Sundance for a fall get away weekend to Sundance, which just happens to be one of the most magical fall places on earth! While shopping in their store I saw these darling velvet pumpkins. They were gorgeous with their real stems and luscious fabrics....but they were priced at $100 + per pumpkin! I knew how to make them myself and had to "grow" a velvet pumpkin patch of my own. I got to work popping off every pumpkin stem I could find and dried them out in a special place to await the next pumpkin season. The leaves began turning a couple of weeks ago up here on the mountain and I got to work making a wagon full of these little pumpkins. I love that they are super easy and quick to make and will last all through the fall months...right up to the time you put up your Christmas tree! 1. Lay your fabric out and trace around your template using a marker. 3. Using matching embroidery floss (all six strands) stitch a running stitch around the outside edge of the pumpkin about a 1/4" from the edge. Leave a tail about 2" long when you begin...do not knot. You will need this "tail" to cinch the pumpkin closed. 4. Once you have stitched around the pumpkin...gather the fabric into a pumpkin form leaving the opening about three inches wide to allow for stuffing. Do not remove the needle...you will need this in a minute. 5. To stuff your pumpkin, pour in the crushed corn cob to about a inch from the top. shake lightly to get the cob mixture into the edges of the pumpkin. Don't fill it all the way to allow some "play" in your pumpkin form. 6. After filling the pumpkin, cinch the opening closed as tight as you can by pulling on the two strings. There will be a whole about the size dime in the opening. 7. Tie the two strings into a knot and using the needle stitch the opening shut all the way. Pull the opening tight to get all your gathers into one small spot. 8. Now that your opening in stitched closed and no cobby stuff will come out. Use your hot glue gun to glue your stem to the pumpkin. Press it down into the pumpkin to make an indent. If any glue seeps out...press the fabric against the stem to hide the glue. It will give it a natural pumpkin look. Now that you are expert pumpkin "farmers" ...get yourself some pumpkin steamers this weekend to share with your friends or family...and make your own little pumpkin patch to enjoy this fall! Happy September! Up here on the hill the leaves are changing all sorts of colors, the mornings are chilly and my herb garden is ready to harvest...it FALL. This is hands down my favorite time of the year. It's no surprise to me that I was born in October right in the middle of the earths most glorious time! 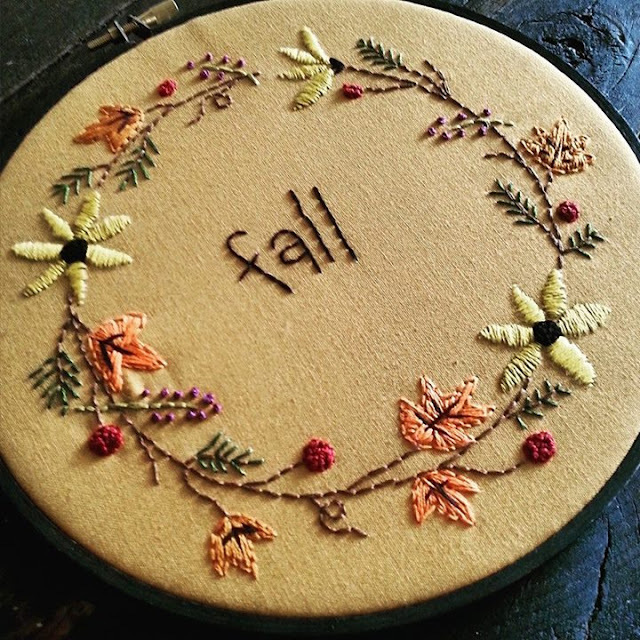 I have designed a collection of seasonal hoop-art embroidery patterns to celebrate each season...and I had to debut the collection with Fall. The pattern and stitching guide is available in The Shop now! If you love fall as much as I do and are looking for something to do on those chilly nights...pick up this pattern and stitch up your own celebration to the best season of all!